If a member of the POBSC Board of Directors/Division Head currently has a child enrolled in the U9 Division, how does it affect their child’s team placement as well as their own “potential” coaching “future” status? To keep “total” transparency; but more importantly the consistency of integrity and “fairness” – all elected board members/division heads who are in this situation shall play a “zero” role in their child’s team placement or their “potential” coaching role for the incoming U10 teams. If we find that any individual has tried to influence any part of this process, (including but not limited to) spoken publicly about the process, verbally made any innuendos regarding this process that could affect the outcome as it pertains to themselves or “friendships (that they might have within the division) – they will be brought before the entire Board of Directors and potentially removed not just from (potential coaching candidacy) but more importantly from the POBSC Board of Directors. We cannot stress enough that they shall have absolutely NO influence regarding this process. Lastly we encourage ANY and ALL members of our organization to report any or all “potentially” questionable actions to the following individuals WITH NO REPRISAL’S (Andrew Feldstein, Joel Sklar & Tracy Slavsky). We take this process extremely seriously from the first child selected to the very last child selected for each team as well as the first “potential” coach interviewed to the potential last coach interviewed for a potential position. What role do the divisional intramural rankings play in the selection process? While we appreciate the time and effort our (parental) coaches put in during the children’s intramural years – the importance of those ratings & ranking are made to keep parody among the teams during the U7 – U9 years. During the Travel Team selection process we rely (a large percentage) upon the ratings of our professional trainers, selected coaches, several selected board members during try-outs to be used while selecting our incoming U10 teams. Please note that does not mean that we do not use the intramural ratings (because we do) but with that said they are based upon parents who have their own child or children playing in the division. In order to have complete fairness to all the children – this is why we select a very large panel of individuals (who have “no skin” in the game) for team selections. Does playing in the PDI program help with my child’s selection for a particular team? In NO way does this help during our selection process. PDI is just another venue for a child to play soccer and improve his/her skill level. Are the PDI teams going to be our travel teams? Again NO, PDI teams should be teams where the players are routinely changed so that ALL children are given the opportunity to play at different levels with their peers. PDI team selection as well as movement (which should happen each week) is solely based upon the Division Head’s shoulders and it is their responsibility to give each child as many opportunities to play amongst both their peers and well as children with different skill levels. During the night of the selections – should I contact my Division Head for an update regarding potential team/coaching selections? Any parent can contact their Division Head – BUT the Division Heads will have NO information to give you. The night of selections – they have as much knowledge as every other parent within the division. So we encourage each and every parent to stay calm, positive and wait for the call from their child’s new coach. Again contacting the DH serves no purpose but only fuels the fire of higher anxieties. Can you walk me (as a parent) through the selection night process? Step one, the initial first team (in a gender) is show to the BOD and Travel Committee, and this is followed by a complete list of “potentially approved” coaches whose child is on the team list. Upon review, a Head Coach is selected and called to meet with our selection group. Upon his/her arrival – the “potential” Head Coach will be given a list of their initial team roster and a list of “potentially approved” assistants (1 or 2) that they can choose from. Upon their selection of an assistant coach – they can they review their entire team and have the opportunity to make a change or two from of a list of potential “bubble” children who have similar tryout ratings. After their review – they will submit their requests to our selection committee – and these requests will either be approved or denied on the spot. Upon selecting on their final roster, they will then start to contact their team in a very short and orderly fashion. While this is happening, the BOD and Travel Committee will now switch to the other gender to start the same process. This formal process will go on throughout the evening until each & every child and team has been selected as well as contacted. If a parent does not answer the phone on their child’s selection – they will have 5 minutes to do so – if not – their child will be removed from the entire process. If in turn the child still wants to participate on a POBSC travel team – they will be offered a spot on the last team selected for their gender at the end of the evening. Upon placing the call – all coaches have been instructed to not be allowed to mention any other child on the team – they can only mention the coaching staff – but that is all. The rational for this is - for each second spent during each call will cause delays in selecting the next teams of the similar gender. So please DO NOT ask for any information regarding the team makeup – as it will only create problems for both your coach and children not selected as of yet. Who are selected first, the players or the coaches? The teams are all selected prior to any coach(s) being assigned to them. 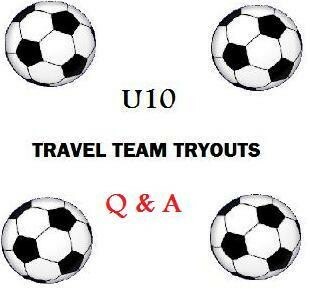 If my child or children are currently playing travel soccer (in an older division) are the team make up the same way? NO, as of 2016 new USSF guidelines have determined that U10 – U12 (which POBSC have always adhered to, before it became an enforced guideline) are developmental years thus playing with less players on the field thus our teams will have less U10 players on them since every year prior to Fall of 2016 teams. So in short, if you believe you child should have been on a more highly skilled team, we are restricted due to player registration. What are the hours of player selection and notification? We will try and start to make calls (potentially after 7:20 pm) and could last until 11:00 pm that evening. Please note that many factors go into this evening which could delay calls for team placements by new travel coaches, as volunteers we try and do the very best we can in the best interest of each and every child. Who contacts the child to tell them what team they are placed upon? This is left up to the new Head Coach of the team after they have their new roster has been jointly agreed upon and they contacted their assistant coach. Together they will then start to contact each member of their new team. What if the parent does not answer the phone when called for selection? Each parent is given a 5-10 minute grace period – if they do not answer, the child will be removed from that team and moved to the next team. As we are on a very tight schedule to make certain that every child is contacted ensuring a seamless selection, it is up to each and every parent to be prepared to receive the call. We cannot stop the entire process due to one individual holding up the program by not answering their phone. Upon receiving the call from my new coach, may I ask who is on the team? At this point unfortunately the answer is NO due to time constraints. Each coach must make all their calls quickly so that we can move on to the next team. Each conversation will be very short the coach will only be asking if the child wants to accept playing on the team assigned to by the selection committee. Over the next day or maybe later that evening, at the coach’s discretion he/she will contact their entire team to share more information about the team. How long do we have to decide if we want to play for that team that my child or children have been selected for? At the time of the call, you will need to give a NO or YES answer on the spot, no deliberation; you need to decide at that time. If you deem that you do not want to play for that particular team, your child will be taken out of the mix and if they decide that they might want to play at a later time, they will be assigned to the last team in the division, but only if there is a roster spot open at that time. Are team selections based solely on tryouts? Due to that fact that there is NO nepotism with our staff and that they are highly skilled individuals who will be conducting these tryouts, the very large majority of team selections will be based upon tryouts. Though we will have ratings from existing coaches (who happen to be parents in the division) we will use them as a small portion (as more of a guide – after all of our ratings are in) as a very rough guide as we reflect upon the ratings posted by our staff. During the Spring season we will have many individuals observing the children during their intramural and PDI play as well. Once the teams are selected and I feel that my child is not placed on the correct team, is there any chance that the child can switch teams? Simply put……..no. May I contact someone to discuss the matter? Yes, we are always open to discuss any issue with a parent, but as stated previously it will not change the decisions made by the selection committee. Who are the individuals that we might contact to potentially speak with someone about my child? Tracy Slavsky – Travel Vice President, Andrew Feldstein – President and Joel Sklar – Executive VP. Please note – ALL CALLS MUST BE AFTER 5 PM during the week, we will not accept any calls or answer any emails during business hours (which are roughly M-F 8 am – 5 pm), please remember we are volunteers and we ask that you respect our work time. During the selection night, may we contact a member of the selection committee to see the progress? During the process, the selection committee will NOT take any calls from any individual as this only slows down the process. How do I register for tryouts? Registration is done online on SI Play, similar to where your register for intramurals, but under a different heading. Does my child need to attend both tryouts? It is not mandatory, but highly recommended. What if my child cannot make either tryout? This is a very difficult decision to make for the Travel Committee to make. As we have mentioned – COMMITMENT – is a large part of playing any travel sport, as we had posted the travel tryout dates for almost a year in advance – we expect any child trying out to attend at least one tryout. If they cannot, many discussions will go into their appropriate placement without hurting any other child who had attended tryouts, no matter what the skill level (the child has who missed both tryouts has). What is the length of each tryout? Approximately 3 hours each. What if my child cannot stay the full time? Once again it is not mandatory, but it is in the best interest of the child or children for proper team placement for the Fall season. What does my child need for tryout? Soccer ball (with their name printed on it), cleats, shin guards and plenty of fluids. Please note – the child should NOT wear a POB soccer jersey. Any child not wearing cleats or shin guards WILL NOT be eligible to tryout. Does a parent need to stay? No, but we ask that every parent give a contact number to their DH, just in case of emergency. Who evaluates the children? Roughly (16) individuals: Professional Trainers, Board Members and Senior Coaches. What if there are current Board Members within the division, do they have any input in player or coach selection? No, any member of the POBSC Board of Directors that might have a child or children in the division shall have NO input in the outcome and results of placement of any kind. What happens if it rains? Tryouts will proceed during poor weather, unless there is thunder & lightning or we deem that the fields are unplayable and they will become a safety hazard for the children. Is there a makeup date? Potentially but cannot be commented on at this time. During tryouts- who oversees the children? When the children are placed in groups for tryouts, each group will have (2) “team counselors” to stay with them at all times and see to their needs. What if my child runs out of fluids? POBSC will always have extra water bottle in case of emergencies, but please pack your child with an overabundant of fluids. What if my child has allergies or specials needs during tryouts? We ask that you notify both the DH’s and onsite Executive Board personnel (Tracy Slavsky, Andrew Feldstein or Joel Sklar) during drop off. If you have EpiPens or other medical items – again we ask that you give these items to the individuals above when you drop off your child or children. Again each group will have two “team counselors” to be with the kids through the entire process. During tryouts my child or children were placed in a certain group, does that mean anything? Absolutely NOT, the children are placed randomly in groups and might be moved several times during the two day tryout process. Please do NOT read anything into what color pinnie they receive or who they are grouped with. We ask that you please allow our staff to do their jobs and trust in their knowledge and skill sets. What if my child misbehaves during the tryout process? If a child becomes disruptive during the tryout process – they can be asked to sit out or potentially have their parents called to pick them up. If their behavior is deemed very disruptive, POBSC reserves the right to prohibit the child or children from participating in the POBSC travel program. Can anyone tryout for POBSC Travel Soccer for the upcoming 2017 U10 fall season? NO, only children who either live in the zip code 11803/11804 or have played two seasons in the POBSC Intramural program are eligible to try out for our U10 travel teams. Do you have separate goalie tryouts? No, at this age a child needs to have a full set of skills – we are NOT looking to place any child on a team based on their goalie skills alone. What type of skill sets are the evaluators looking for during tryouts? In not set order: ball control (including but not limited to dribbling & receiving), field awareness, team play, hustle, passing, aggressiveness, enthusiasm, finishing, strength, motor skills, fitness level and individual behavior. What are the differences between these leagues where my child may potentially play? LIJSL (Long Island Soccer League) is one of the oldest and largest soccer organizations in the United States; we place our teams which are more competitive and a more committed to the travel soccer environment. SSI – Suffolk Soccer League – this organization is a great foundation for teams which are not as skilled and are looking for their initial introduction into the travel soccer world. Though feel that playing travel soccer is a true commitment and should be taken that way by each and every family that plays underneath the POBSC umbrella, this league provides a less stressful environment. 135 League – This third league is for children and teams which will play very close to home with lowest level of competition and is an option for those teams who are less skilled and not ready for the SSI platform. Who decides which league will play in? Both the Coaches and Travel Committee will (together) make the decision which is in the BEST interest of their entire team to where the team will be placed for the upcoming season. When is that decision made? In most cases it is made immediately, in the smallest percentages it might take a few days.